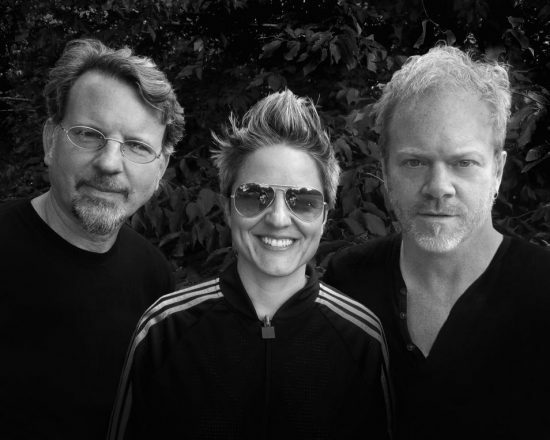 Honey Ear Trio, featuring saxophonist Jeff Lederer, bassist Rene Hart and drummer Allison Miller, is set to release its second album, Swivel, on Oct. 21. The album is the follow-up to the trio’s 2011 debut, Steampunk Serenade, also featuring founding member Erik Lawrence on sax. Swivel, which was recorded in Brooklyn’s the Bunker and includes special guest Kirk Knuffke on cornet, contains “pieces [that] move from purely acoustic, swing-driven passages to thunderous, rock-fueled explosions featuring the impressive looping and pedal-enhanced setup of Hart. But the music never feels dilettantish or self-conscious, and every opposing passage flows naturally into the next,” according to a release announcing the album. 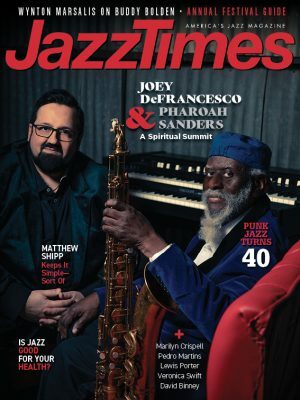 JazzTimes is proud to premiere the video for “Silent Stairs,” a “story about footsteps and how the sound of loved ones persists in our ears and heart, keeping us close in absence,” the trio said in a press statement. The video was recorded live in one take on three iPhones and a Canon 7D in a low light setting, with most of the editing done in Final Cut Pro. "Silent Stairs" – Honey Ear Trio: Jeff Lederer, Rene Hart, Allison Miller from Honey Ear Trio on Vimeo.